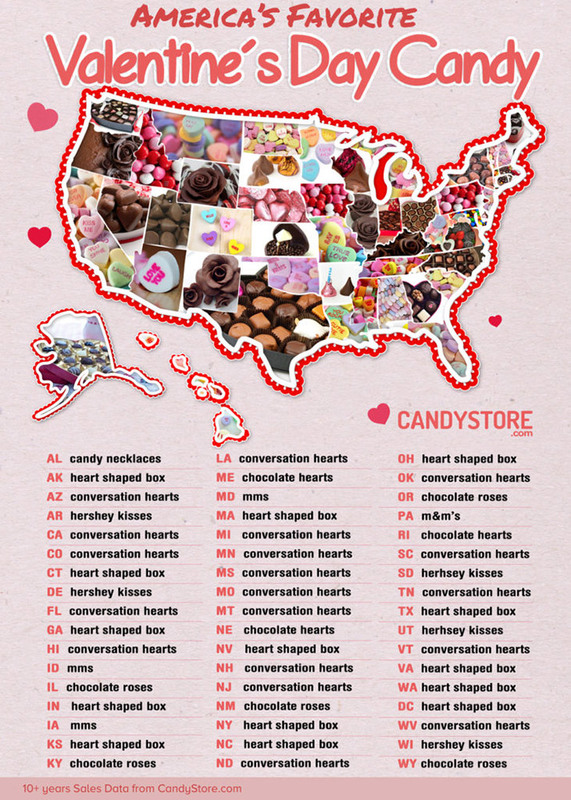 From a box of chocolates to candy hearts, this is the most popular Valentine's Day candy in every state. Valentine’s Day is all about the candy. There are sometimes romantic dinners and red roses involved on this holiday, but the most important thing is always the candy, whether you’re single or married to your soul mate. The heart-shaped boxes of chocolate. Those chalky Sweethearts that everyone brings to class in elementary school. The Hershey’s kisses. Valentine’s Day might be another excuse to tell your partner how in love you are, but it also an extremely valid excuse to go to the grocery store, stock up on your favorite varieties of candy, and eat them all by yourself (you won’t find any judgment from us). Sure, sharing is caring—if you’re in kindergarten maybe. When it comes to Valentine’s Day candy, it’s okay to let yourself be selfish. By the way, if you’re looking to try some new varieties, we did a taste test of all of this year’s best new Valentine’s Day candy so you know what to buy. Of course, some types of candy are more popular than others. 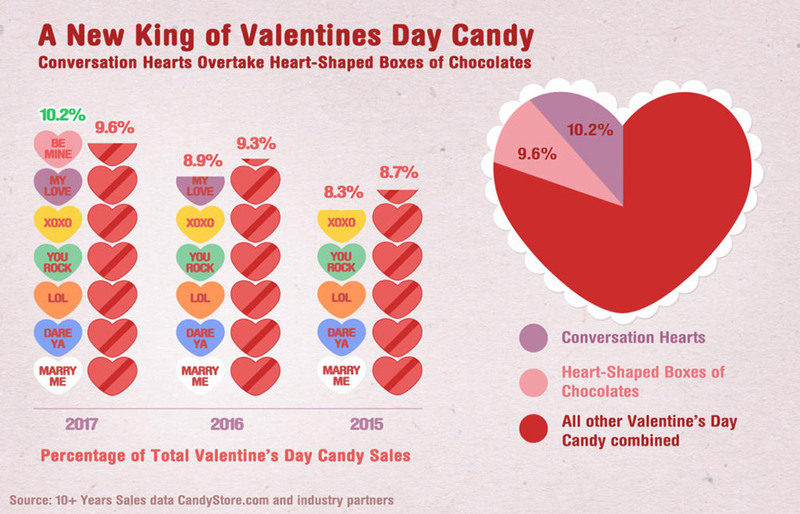 put together a map revealing the best loved Valentine’s Day candy by state—and you’ll find plenty of familiar treats on the list: Boxes of chocolate and conversation hearts topped the charts of course, with most states preferring either of those two choices. However there were a few surprises: For instance, in Alabama, people prefer giving out candy necklaces as a token of their affection, while several other states, including Kentucky and Illinois, like to get their roses in chocolate form. 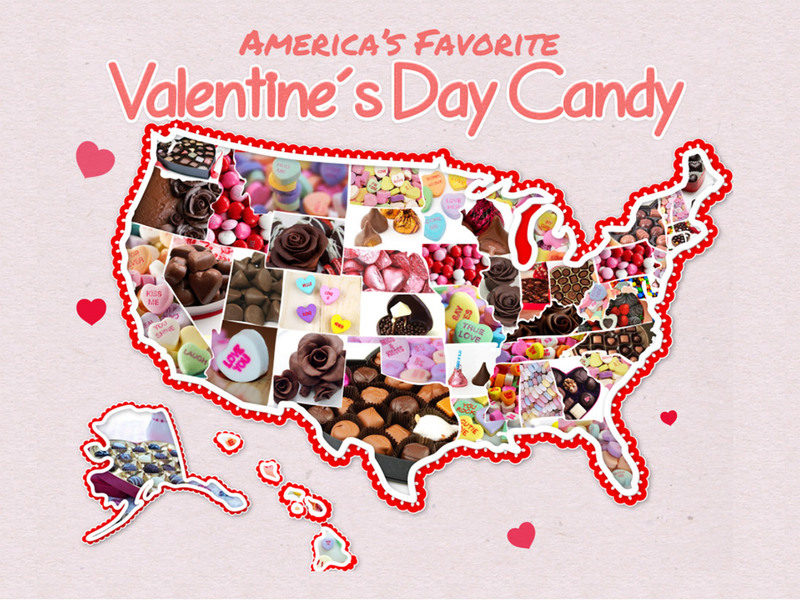 You can check out the map above to find out which candy your state prefers. Just remember to hug your loved ones this Valentine’s Day (and eat some chocolate).